Sardar Bhagwan Singh Post Graduate Institute of Biomedical Sciences & Research (or shortly referred as SBSPGI) was founded in 1994 and since the time of its inception it has continuously worked towards developing the educational standards. In order to provide the world class technical infrastructure, education and skills to the students, the SBSPGI has developed technically well including state of arts labs with latest technical equipments. All its lecture halls, classrooms, laboratories, etc are well maintained and the ambience of institute is quite perfect for high quality education. The Sardar Bhagwan Singh Post Graduate Institute of Biomedical Sciences & Research provides courses in various areas of associated health & life Sciences such as Physiotherapy, Pharmacy, Microbiology, Lab Technology, and Biochemistry& Biotechnology. 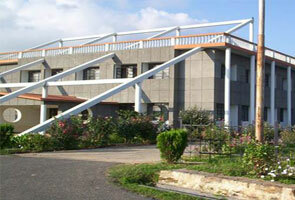 GSBSPGI - Sardar Bhagwan Singh Post Graduate Institute of Biomedical Science and Research is associated to H.N.B. 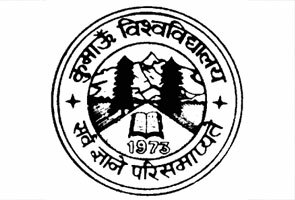 Garhwal University, Srinagar, and UTU- (Uttarakhand Technical University). It has got the approval from AICTE (All India Council for Technical Education), Indian Association of Physiotherapist, and Pharmacy Council of India. The institute has very good understanding on the importance of extracurricular events for all rounded development of student. Therefore a great emphasis is given in conducting various activities throughout the year. 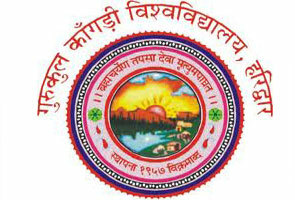 Several events like cultural activities, quizzing, Intercollegiate and Interdepartmental debates, social events, and science exhibitions, etc are organized in the college campus every year. Students who did well in the academics and other activities are rewarded on annual function, alumni day and other important occasions of institute. Eligibility: B.Sc or any correspondent degree with at least 50% marks in Chemistry or Biochemistry as one of major subject. Eligibility: B. Sc. in Zoology, Botany, and Chemistry or B. Sc. (Medical Microbiology/ Microbiology /Biotechnology / Industrial Microbiology/ Genetics or B. Sc.) MLT (Pathology) with at least 50% marks. Eligibility: B. Pharm with at least 50% marks with Chemistry and Physics as necessary subjects and Mathematics/ Biology/ Biotechnology/English and Computer Sciences as a subject of study course contents. Eligibility: B.Sc with at least 50% marks in Biochemistry, or Chemistry as one of the prime subjects. Availability of seats: Ten each. Eligibility: BPT with at least 50% marks. Eligibility: 12th with at least 45% marks in Physics, Chemistry and Bio. Duration of course: 4 years and 6 months internship. Eligibility: 12th with at least 50% marks in Physics, Chemistry and Bio. Duration of course: 3 years & 6 months internship. Total availability of seats: 60. Eligibility: 12th with at least 45% marks in PCB or DMLT. If you have any issues, queries, or want to know about the contact address of Sardar Bhagwan Singh Post Graduate Institute of Biomedical Sciences & Research for 2015 Admissions, 2015 examination schedule, 2015 Results and other important information related Exam Dates of the following year, you may contact at below listed official contact details of SBSPGI.